In this video I'll put E.M.F. 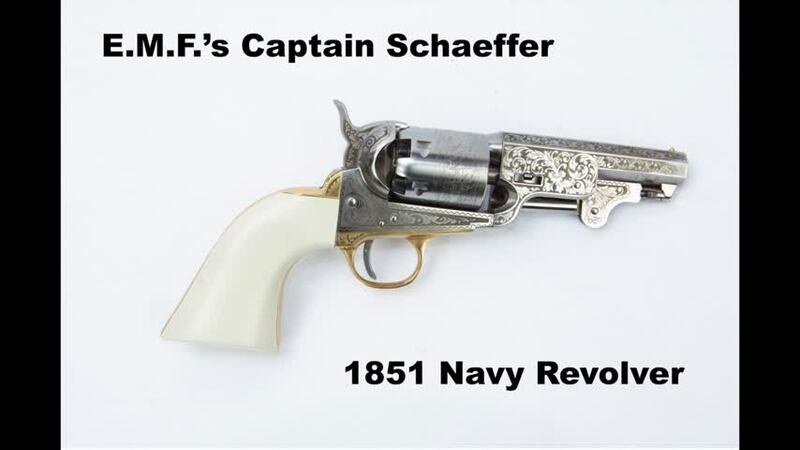 's Captain Schaeffer revolver through its paces. This is a modern reproduction of an actual custom Colt 1851 Navy revolver that was manufactured in 1856. It is made by Pietta, and it features a polished steel finish with laser engraving.